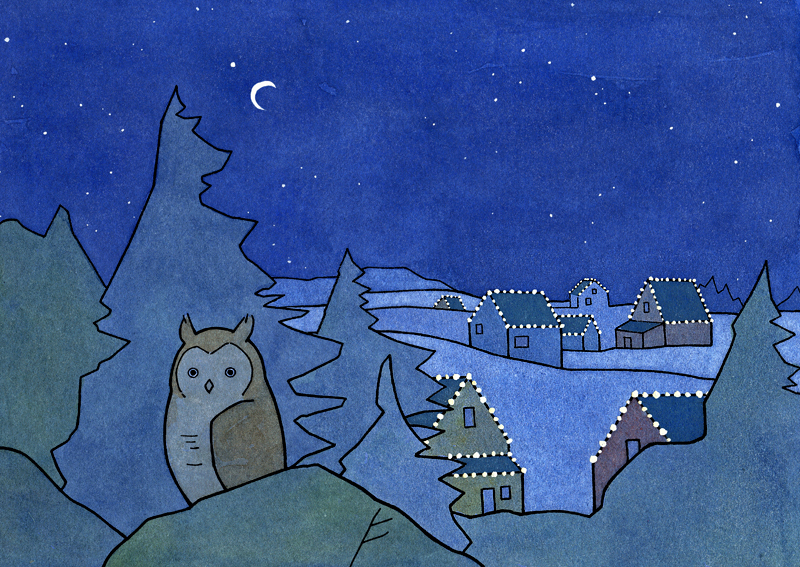 I have a new tradition of drawing Christmas Cards every year. 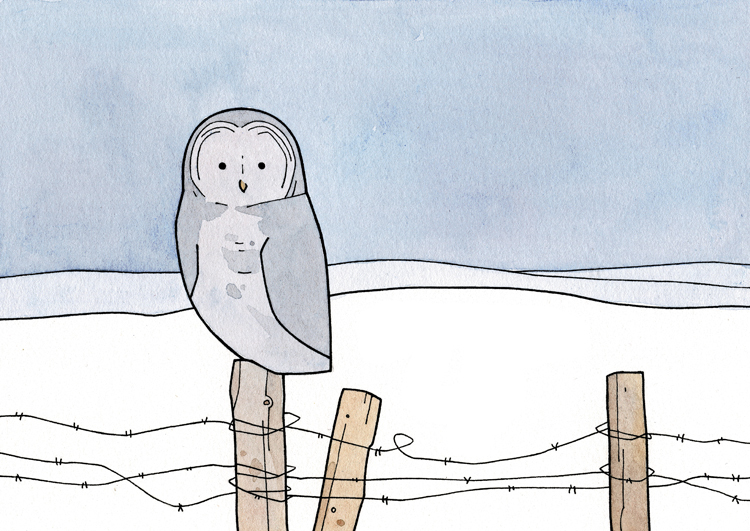 I will have a couple owls this year. 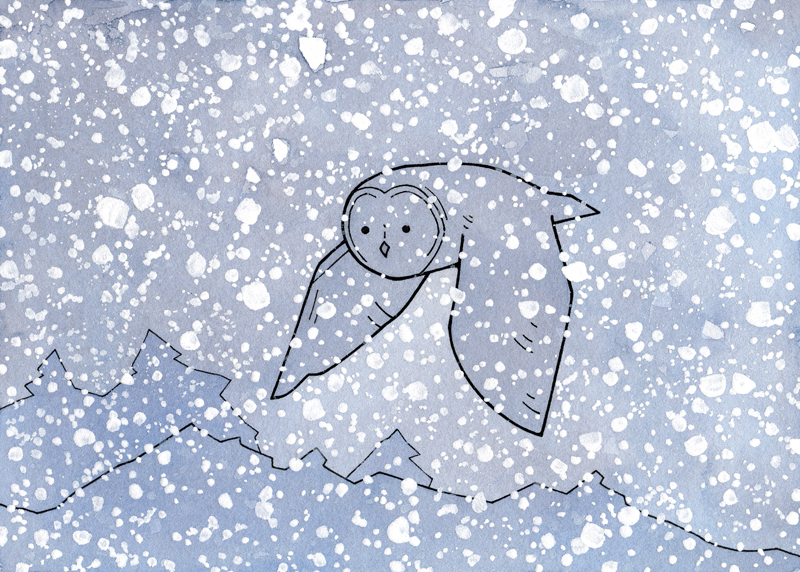 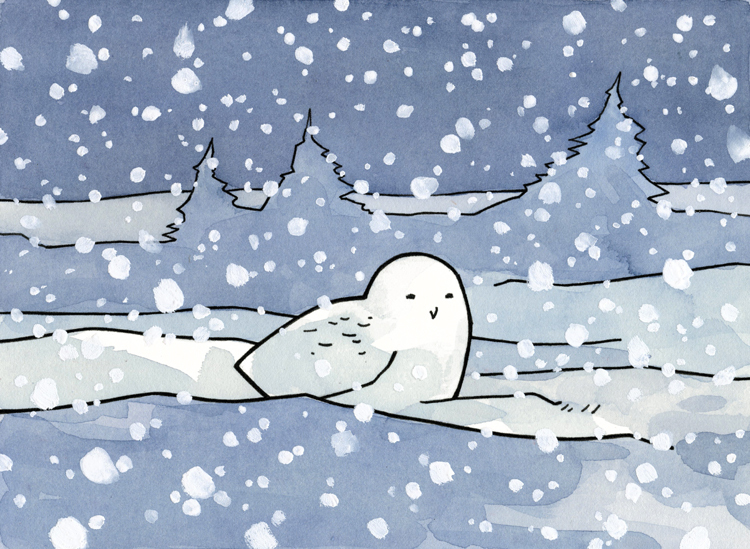 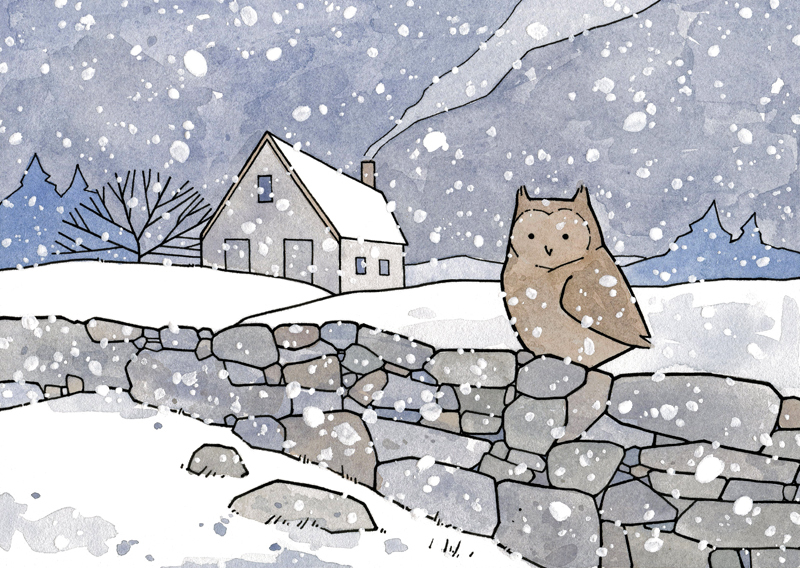 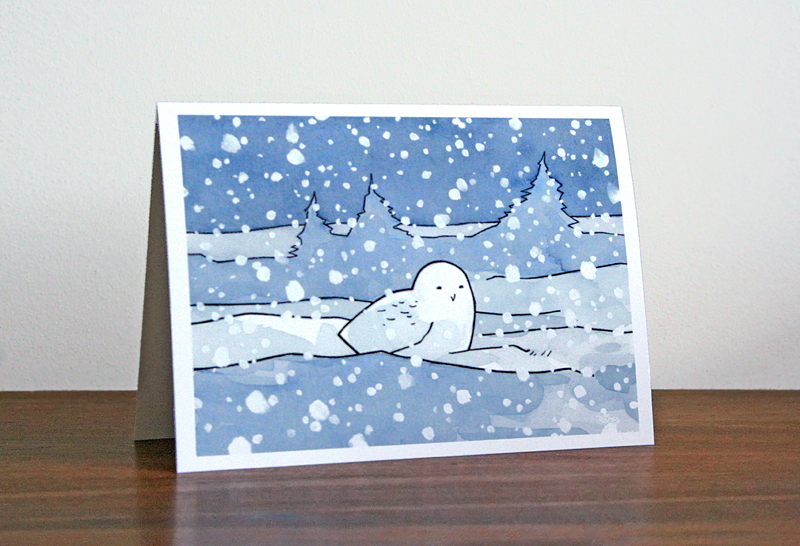 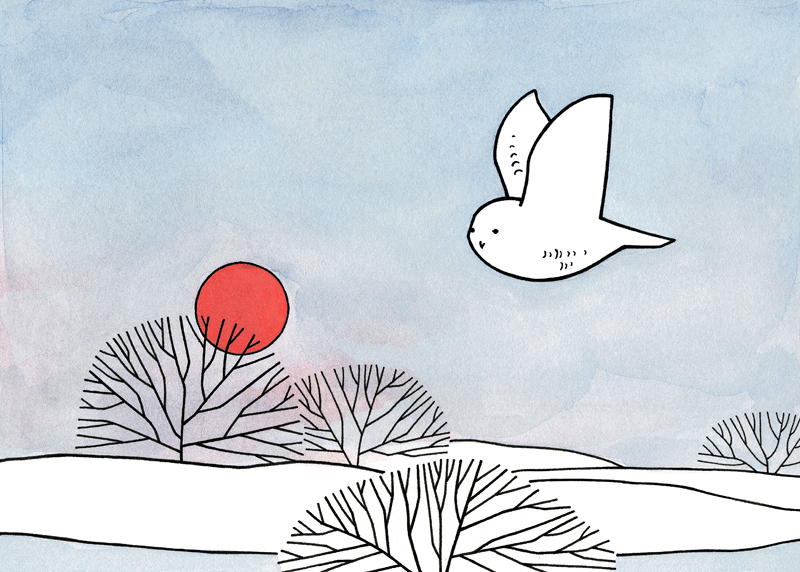 This is the first, a simple and fun Snowy Owl and falling snow.